Knowing when to hire a private investigator is important. Since it is not an everyday occurrence, it may be a difficult and formidable decision. Most people have no idea where to begin or if they really need to hire investigative services. However, identifying certain criteria and factors can be very helpful. Tracking down assets plays a big part in many divorce cases. A private investigator may be needed to track down all hidden assets such as bank accounts, real estate, stocks or bonds. This type of investigation is very helpful, especially when the spouse claims to be living in poverty. Furthermore, it may help in getting your money back. When you own a business it is important to hire investigative services so they can do a thorough background check on potential employees. A background check is imperative, especially for jobs that entail handling private information such as an accountant, nurse, nanny or other significant positions. Whether you own a large corporate firm or small business, there can be enormous responsibilities along with many issues. Investigative services can help a variety of business complications such as embezzling or espionage. A private investigator can track down the problem and help with resolution. It is important that investigative services are used when someone is missing such as a teenager, birth parents or a distant relative. For instance, at times the police are not able to locate a missing teenager or child. 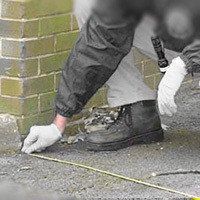 Sometimes hiring a private investigator is the best chance of finding a missing person. If you are still unsure about hiring a private investigator, chances are that they can give you consultation. In fact, some investigative services offer an initial free consultation. Moreover, a licensed investigative service will conduct investigations in a lawful manner plus provide services that are completely confidential. Before hiring a private investigator, make sure that they are licensed and qualified. You can also call the states private investigations licensing unit to see if there are any complaints submitted, if the business has been suspended or sanctioned. If your research about the company is good, then you can be rest assured and confident in knowing their investigative services are outstanding.